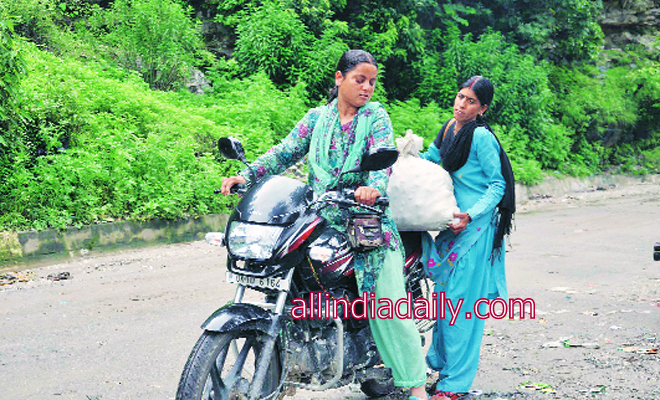 Pushpa Singh Chauhan seems like a natural good samaritan. But her kindness, effort and persistence stand out as they form a stark contrast to reports of some shopkeepers, hotel owners and transporters fleecing pilgrims stranded in Uttarakhand after the flash floods. A grocery shop owner in Ganeshpur village, Pushpa, 39, and two of her friends were struck by the plight of pilgrims stuck in the nearby Maneri area as the Bhagirathi was flooded. The visitors were running out of money and the local hotels and dhabas had no supplies to feed them. And the district administration was yet to reach them. Pushpa and her friends returned to Ganeshpur and mobilised other women and decided to open a "langar" or free community kitchen at a place called Garampani. The place is located at the beginning of the final climb to Uttarkashi town and pilgrims stranded in the flood-ravaged Bhagirathi valley reach Garampani on their way back. "This is the eighth day of our langar here. We have fed at least 800 pilgrims every day since June 18," Pushpa told The Indian Express on Tuesday. The flooding and landslides have cut off road access to Garampani and it can be reached only after a 4-km trek from Gangotri, the entry point to Gangotri. Like she has been doing for the last seven days, Pushpa reached the langar on the Uttarkashi-Gangotri highway along the Bhagirathi on her motorbike Tuesday morning. She and a colleague were carrying a sack of potatoes for the kitchen. At the makeshift store, she checks the availability of wheat flour, rice, vegetables and edible oil. Her team, comprising of one woman from every family in Ganeshpur, is busy cooking. Many of them know what it feels like to be hit by a natural disaster. Ganeshpur was badly affected in the 1991 Uttarkashi earthquake and saw 48 people die. Salute to her, is there anyways we can contact her, to show the gratitude for what she is doing? Please let me know. Thanks for bringing this great news to us.